This design represents the bond between two friends. 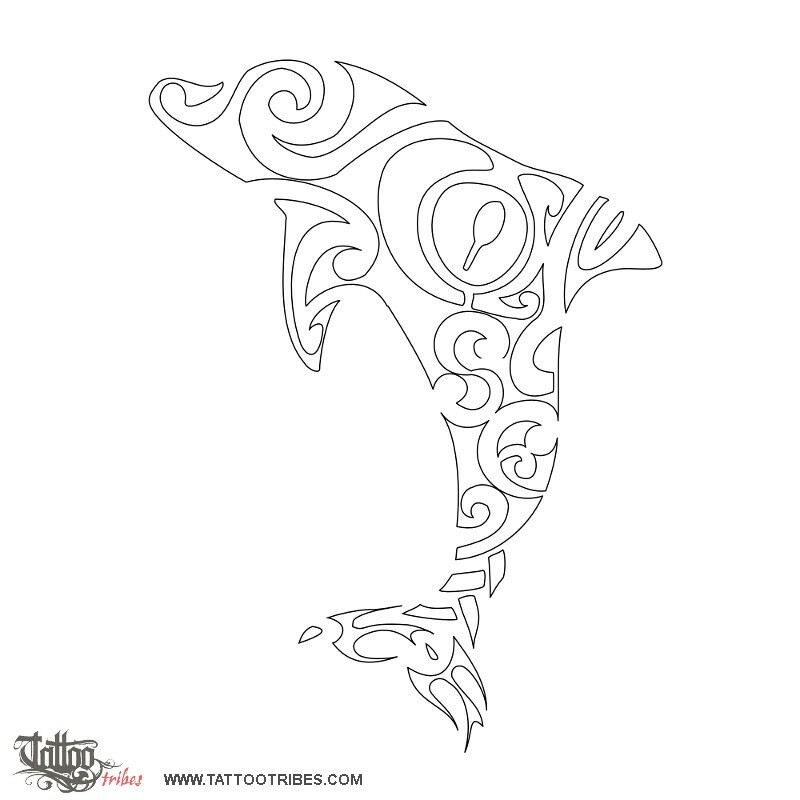 The tiki forms the back and back fin of the dolphin, and protects this friendship. The eye of the tiki is a mere, a short war club which symbolizes the chief, respect and honour. The side fin, visible under the dolphin, is made of a fish hook, symbolizing prosperity and wealth. Just below the tiki, where the tail starts, we placed the headletters of the two friends, S and E, as maorigrams, and below them the braid motif symbolizes union, bond and friendship (friendship, joy and play are the meanings of the dolphin itself). The back tail is formed by two birds chasing each other, representing the friends who will always be there to help each other.